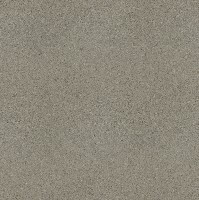 EternaStone cast stone comes in blank form or can be custom crafted in our facility if you need a turnkey product. EternaStone cast stone products are manufactured in Houston Texas exclusively by EternaStone, LP. EternaStone cast stone is a very versatile stone product that can be used in any signage application you can imagine, including freestanding monuments, wall panels, golf course markers, I.D. plaques, column & wall caps, apartment numbers, etc. EternaStone cast stone can be molded into infinite shapes, sizes, colors, and textures. Single panel sizes can range up to 16 feet long and five feet tall. Superior strength and built in flexibility provide the ability to produce thinner, lighter weight products that combine for ease of handling, shipping, and job installation. If you have an idea in mind let us know. Our only limit is your imagination, contact EternaStone, LP today.